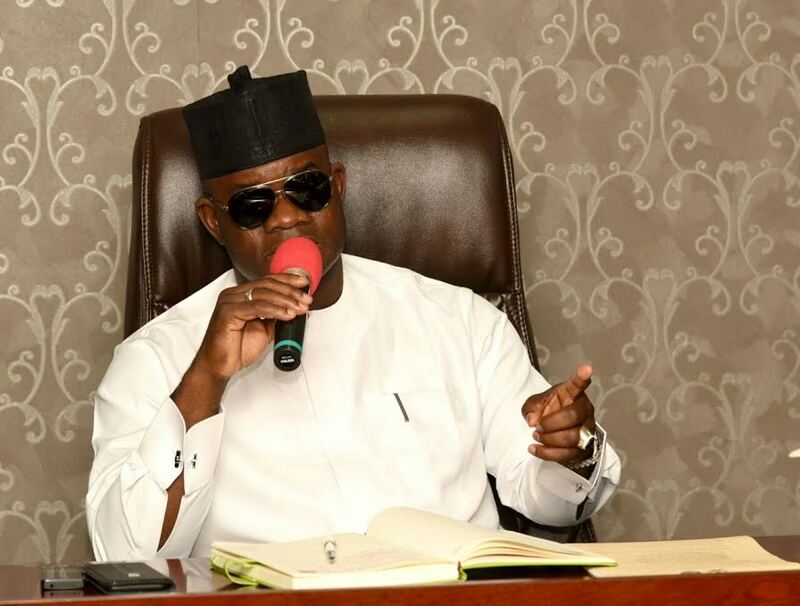 In what turned out to be a ‘minor’ cabinet reshuffle, Kogi State Governor, Alhaji Yahaya Bello has redeployed some of his Commissioners, Special Advisers and Senior Special Assistants. He also threatened to sack anyone who fails to deliver as expected by his administration. Commissioners affected by this development were; Mrs Rosemary Osikoya from Environment to Education, Science and Technology. She replaces Dr Sunday Tolorunleke, who has been moved to Ministry of Commerce and Industry. Alhaji Sanusi Usman Yahaya will now take charge of the Ministry of Environment and Natural resources. Others affected were; Hon Arome Adoji, from Sports and Youth Development to Culture and Tourism. He is relieving Hon Mohammed Awwal who would now hold sway at the Ministry of Transportation. Prince Sani Ogu was moved from transport to the Kogi State Ministry of Youths and Sports. The decision was taken at the State Executive Council meeting held at the Government House, Lokoja and presided over by Governor Yahaya Bello. According to the governor “a new Kogi State Lands and Housing Service Bareau headed by a Director-General (to be appointed in due course) is hereby created out of the current Kogi State Ministry of Works, Lands, Housing and Urban Development. “The former Kogi State Ministry of Works, Lands, Housing and Urban Development is hereby renamed the Kogi State Ministry of Works and Urban Development with Engr. Sadiq Abdulmumini still commissioners. “All changes become effective on the 1st day of January, 2018. Redeployed officials are to brief their replacements fully in writing and conduct formal handover on or before close of work on the effective date. “The Secretary to the Kogi State Government is to formalise appropriate records without delay. After about 18 months in office, all Cabinet members must know where they stand in terms of productivity. This Administration requires excellence at all times. Mere good performance can never be good enough, and some have even fallen below that.